to Guest design for the month of November. I feel by having a kraft BG , to me this immediately suggests Vintage . 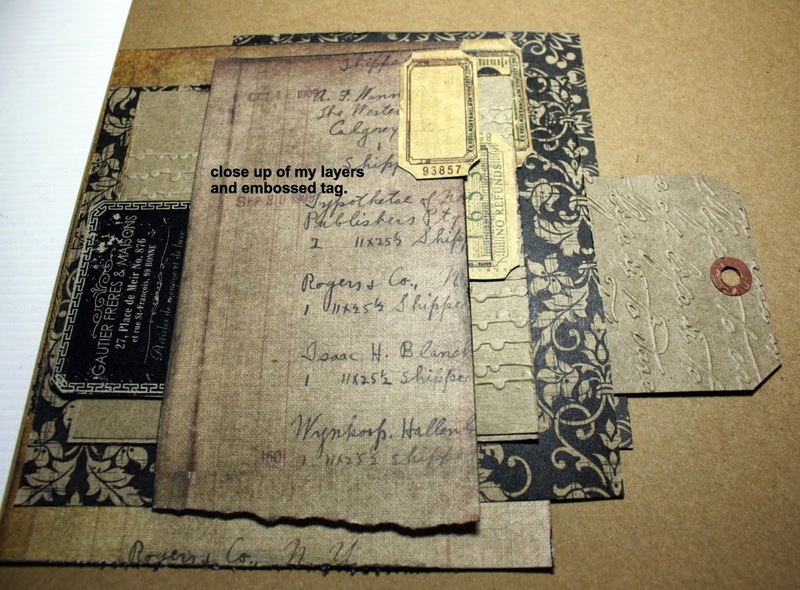 All things Vintage and aged Old Keys, Sepia photos , chipboard, earthy/rusty colors, clocks, kraft and lace . Begin layering and adding embellies the chipboard has been colored with Distress stain / Rusty hinge . I like to position my embellies around the page, moving them until I am happy . Finally I adhere them with glue . 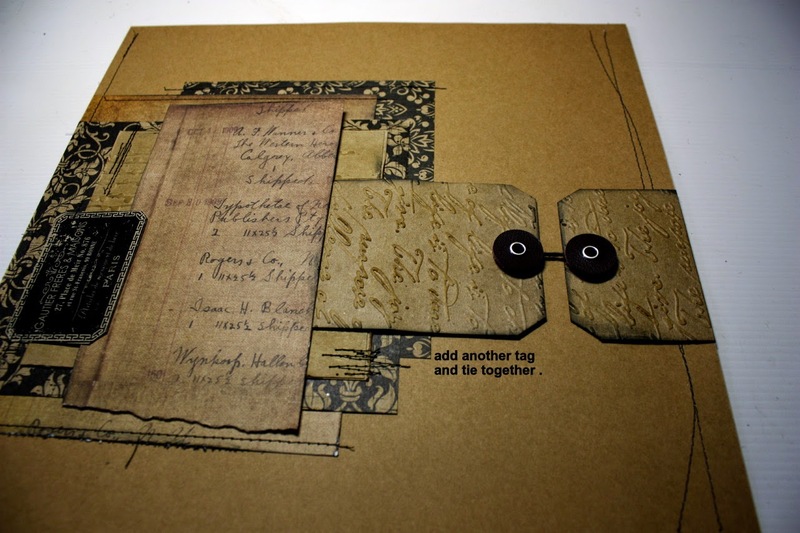 the Dusty Attic chipboard title has been altered with Rusty Hinge Distress stain and then I stamped with a Kaiser stamp in black soot distress ink . apply Ranger Distress Crackle Paint /Clear rock candy .. I use a palette knife as I find then there are no brush marks . Wow! This layout is a work of art! I admire your work very much and find so much inspiration from your creations. This is a delightful layout, your design and construction is perfect. It was wonderful to have you with us at OCC Heather. This is such a stunning LO and a great step by step!! This is breathtakingly beautiful! 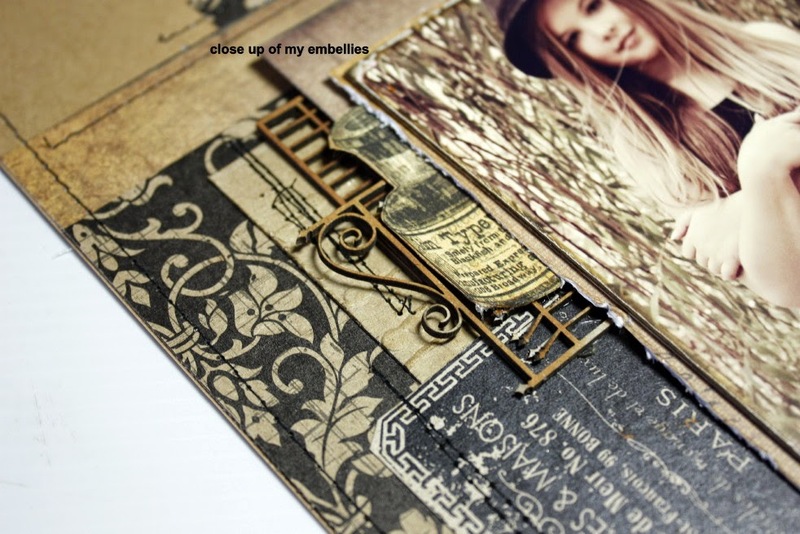 I just love the step by step and the finished layout is stunning! Absolutely love how you create vintage! And the photo is gorgeous! I´ve seen your page at CCC - love it! Again so very beautiful, I love your pages! You are definitely the queen of vintage! This lay-out is truly stunning! Absolutely gorgeous! Love seeing your process! This is just stunning! I love love love the colors, the photo and the layers!!!!!!!!! Sooooo beautiful. Every detail just perfect. Your granddaughter is a true beauty. Heather, You always make such interesting, innovative LOs! 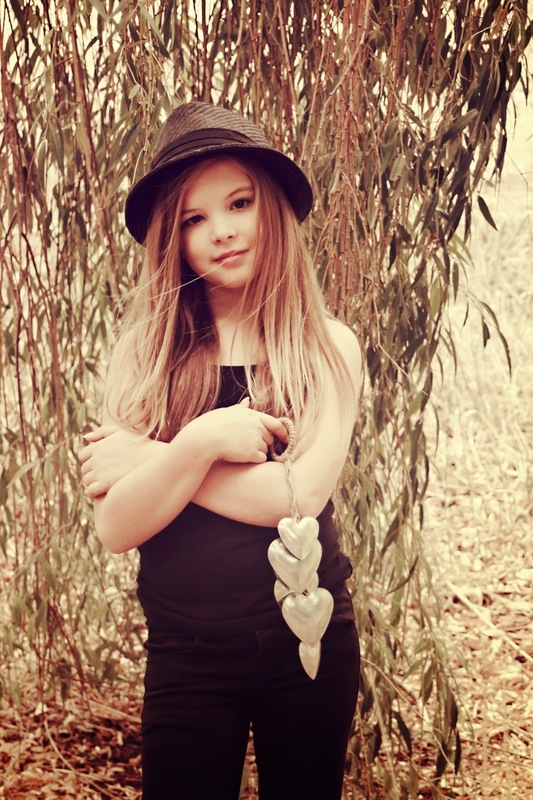 Your Grand daughter is a beautiful perfect subject. I certainly can understand why you scrap her often. Your daughter's photography is outrageously fabulous! I appreciate that you detail your techniques. 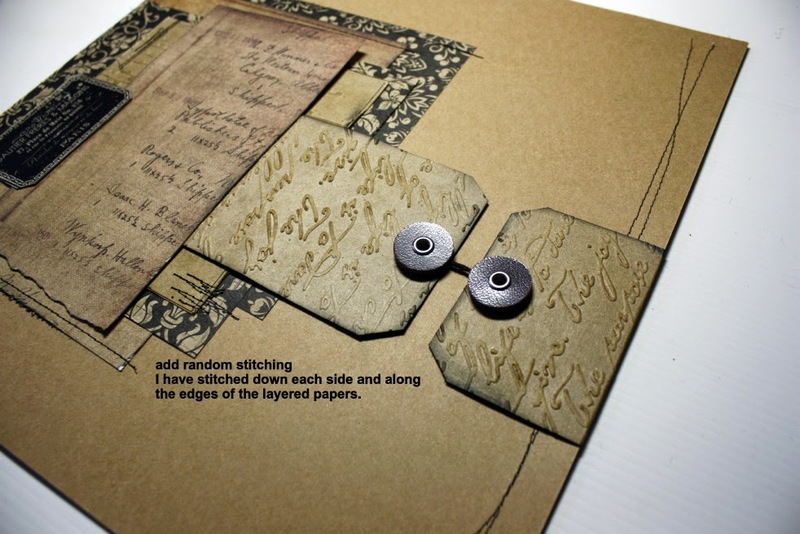 It makes me want to pull out the craft papers I have and try some of this too. Beautifully detailed without being overwhelming - my kind of scrapping! LOVE this! you have a beautiful granddaughter Heather and your layout matches her photo perfectly! 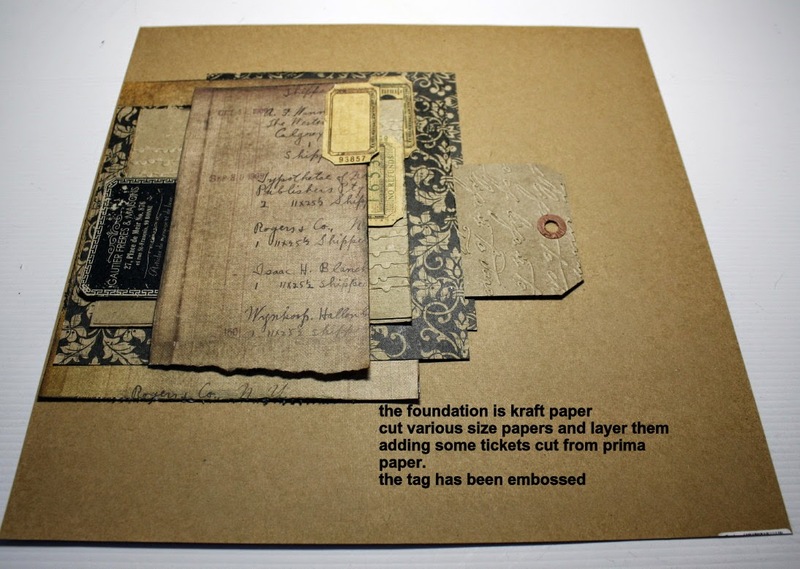 Somehow you just have this way with the rustic vintage style that sets you apart from every other scrapper. 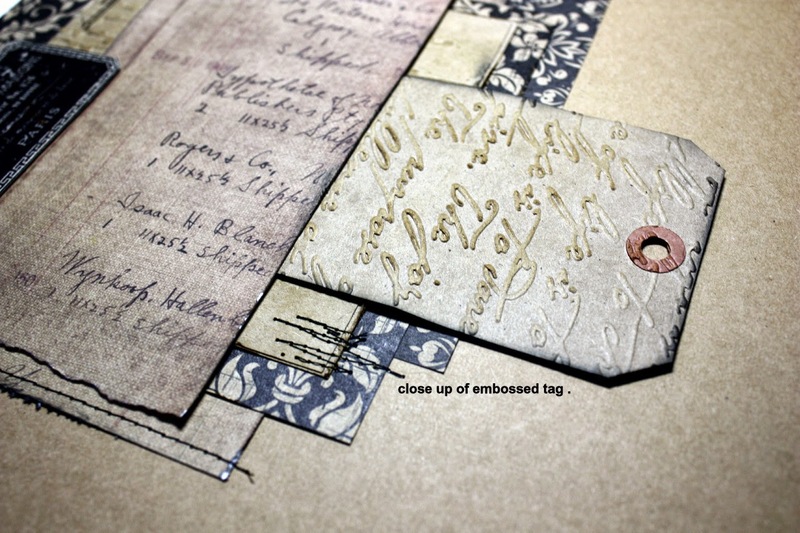 Thanks also for showing different stages of your layering and creative process - I might have to take out my embossing folders after reading your post. Wonderful inspiration! Well you know I love it! Then again I love anything you do! Beautiful photo as well. I admire your layouts.... they are like pieces of art. Thank you for sharing your creative process. Very inspiring. Like Helen I was convinced I had left some love for you :/ I think at the moment I am completely losing my marbles. I don't think I can remember a time when I felt so out of control. Anyway. 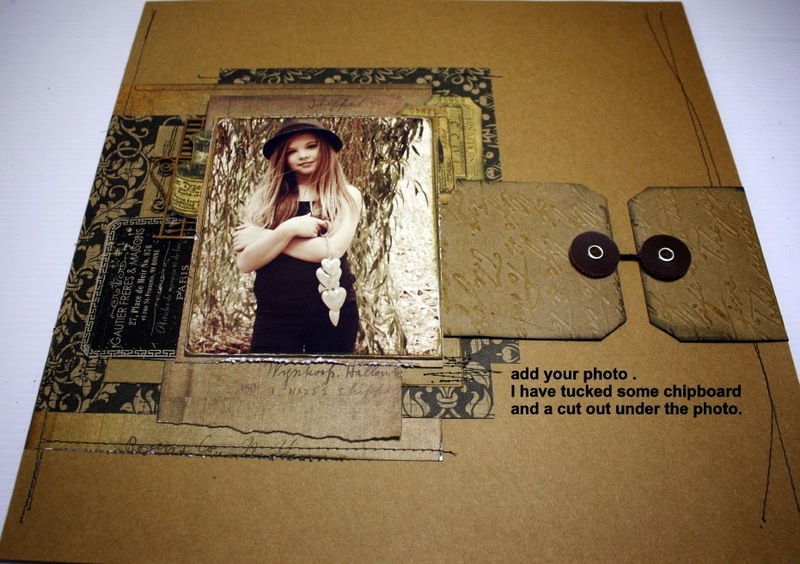 I just love this layout and that photo is perfect for the sepia tones of your layout. Love the embossing and all the stamping. It looks like that was the way the paper came. You are just amazing. Fabulous to have you as our guest this month at OCC - and what a glorious layout you've given us! Gorgeous page Heather!! Looks so perfectly Vintagey!! Thank you and I love it !